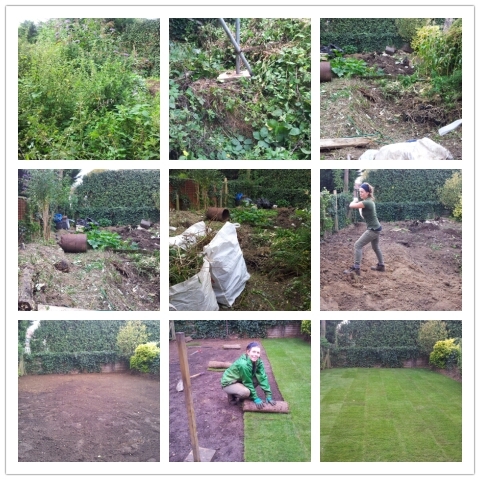 Ed’s Garden Maintenance Operator Lucy had to completley ‘redo’ a garden in Teddington. 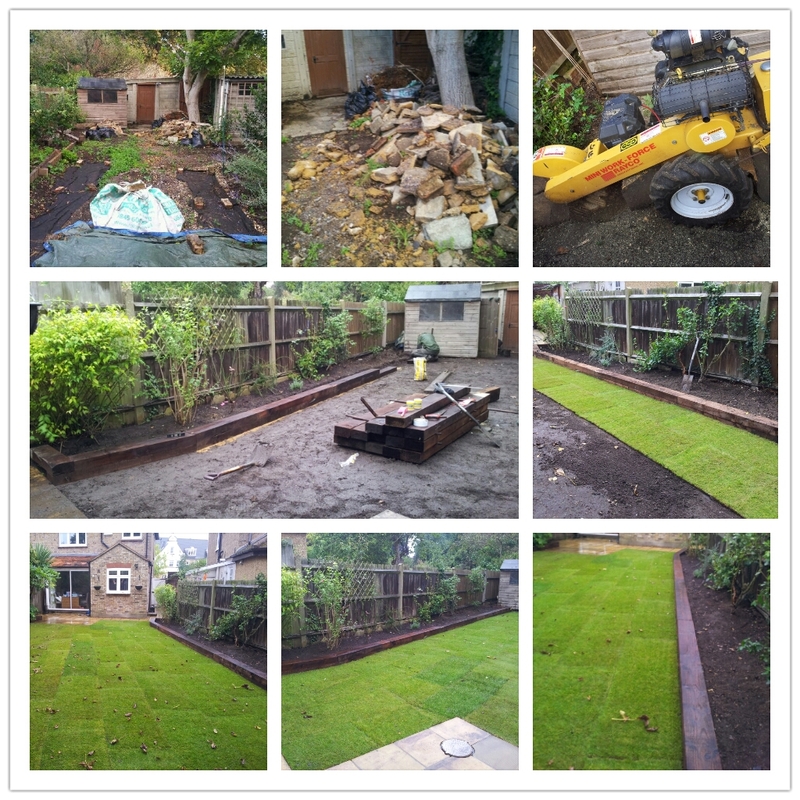 The work involved installing railway sleeper beds, extending the patio, turfing and grinding out a large tree stump. The customer was delighted and very pleased with the end result. Ed’s Garden Maintenance Operators undertake a wide variety of work from a one off small lawn mow to a major ‘redo’. If you have any work requirements why not give us call or fill in the box ‘free estimate’ and we will arrange for someone to come and give you a free no obligation estimate. 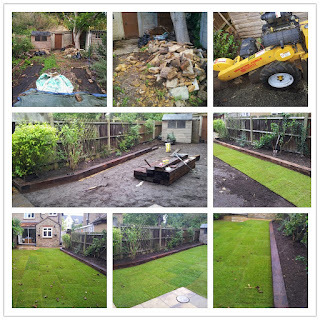 Our Ed’s Garden Maintenance Operator Lucy recently contacted the office with some great photographs of a recent garden clearance in South West London. 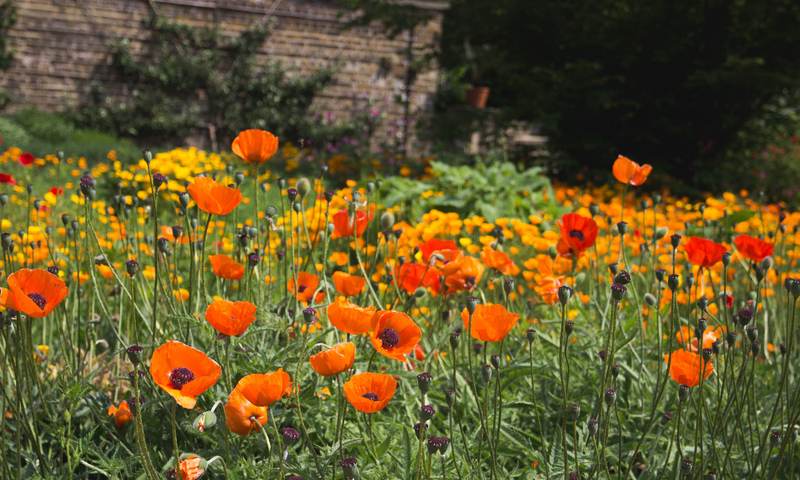 The brief was to get the garden to a state where it could be easily maintained. The property was tenanted and no one was interested in gardening. As you can see from the photographs the garden was so overgrown it was difficult to get in to give a quote and Lucy had to cut her way to see the full extent of the wilderness. However having done many garden clearances before she was not fazed by the ‘jungle’ and had the ability to see beyond what is there to what the garden could be. The finished garden looked three times larger and now just needs regular lawn cutting throughout the year. Lucy said “I love seeing the transformation happen”. 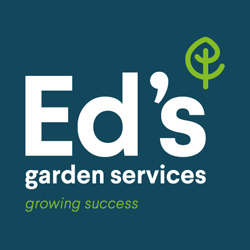 If you are in need of any garden maintenance work or fancy a new look for your garden why not give Ed’s Garden Maintenance a call or fill in the free estimate box.